Please enter a name or wording, as well as where on the print you'd like it to be. A set of prints of woodland animal art, an adorable addition to your nursery! You can CUSTOMIZE these prints to any colors you choose, either from the color chart or a picture or link, just let me know and I can create a custom listing for you! *Be sure to select your size in the drop down box above. 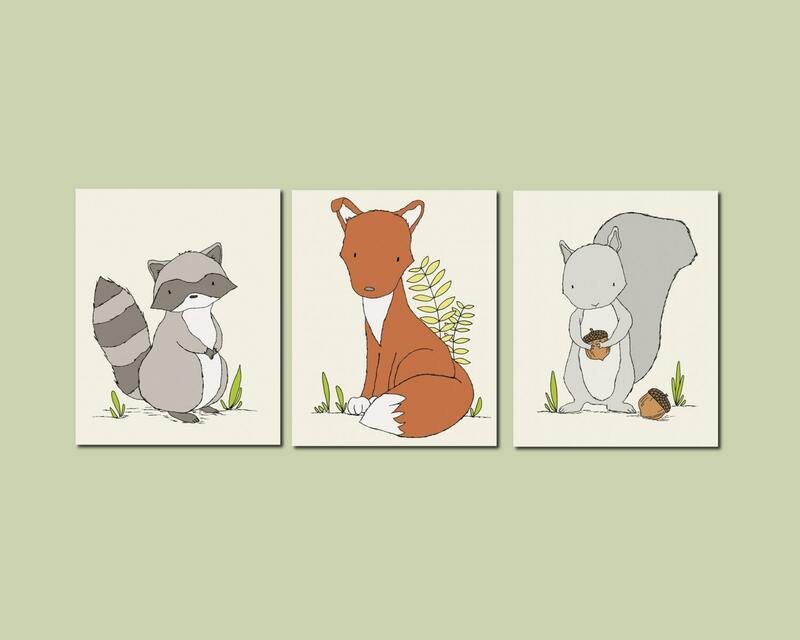 Here at Sweet Melody Designs we love creating cute art for your little ones rooms. We believe in encouraging the imagination of children and giving them a beautiful place to grow up. It is our hope that our art can have a small part in that wonderful experience. These are prints of original pieces of art created by me. They are printed on high quality, archival paper with archival pigment inks that are rated to last 120 years. These borderless prints arrives ready to pop into a frame or matte. ** They do not come with a matte or frame. It is packaged in a bend resistant mailer and a cellophane sleeve or tube mailer for large prints. All prints are made in house by my hands and will not ship out until I have decided that they are 100% perfect! Love it! 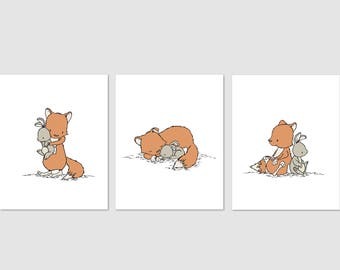 Matches our nursery perfectly! The artist was willing to handle all of my custom requests, and we are so in love with the final product! it arrived quickly, and in perfect condition. This is a bad picture, but these designs are AMAZING! They actually gave me the idea for my entire nursery theme. I love them so much. Great quality, fast shipping, they look exactly as advertised. I love them. Payment is to be made at the time of purchase. If you are, for any reason, unhappy with your purchase from Sweet Melody Designs, please let us know and we will be more than happy to make it right via refund or replacement. We are not responsible for errors on the part of the buyer, such as errors in the shipping address provided. Your order will ship within 3 business days from the date of purchase/payment if you are ordering art prints. PLEASE feel free to contact us with any questions, etc., about your order! For international orders, the shipping charges do not include any customs charges.